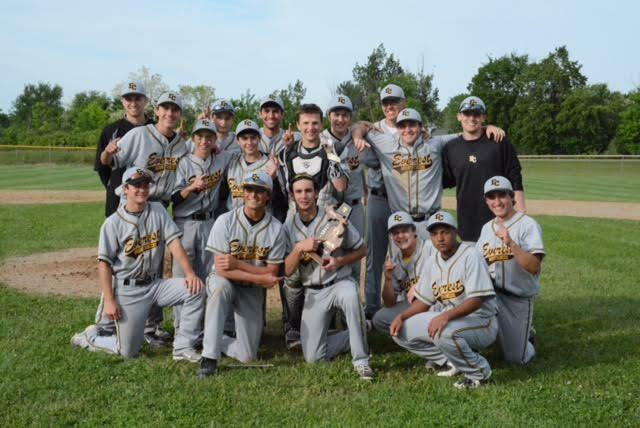 After winning the District title Monday, June 1, against Waterford Our Lady of the Lakes, the EC Baseball team will play in the Region semi-final game Saturday, June 6 at noon versus Unionville-Sebewaing in Mayville, Michigan. (Mayville High School is located at 6250 Fulton St.). If we win, the Region final is the same day, June 6 at 2:30 pm versus the winner of Ubly vs. Kingston game. Go Mountaineers! ← Everest Collegiate Boy’s Golf Team wins Regionals for the first time in the school’s history!